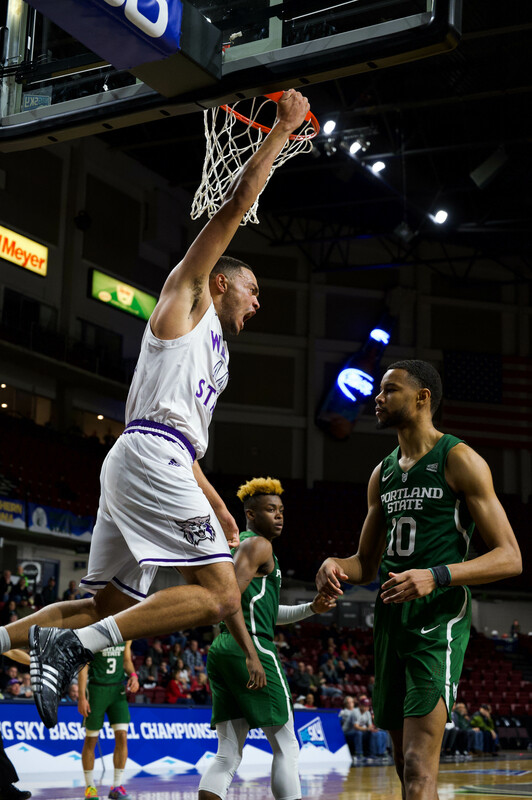 After suffering a scoreless drought lasting nearly eight minutes, the Weber State University men’s basketball team fought back to take a 76-74 win over the University of North Dakota in the semifinal of the Big Sky Tournament. Head coach Randy Rahe said seeing the team fight back and pull out the late win made him feel proud of the players and their attitudes. Early in the game, UND came out strong and held a 9-7 lead early in the game. Halfway through the half, the teams were tied at 22. 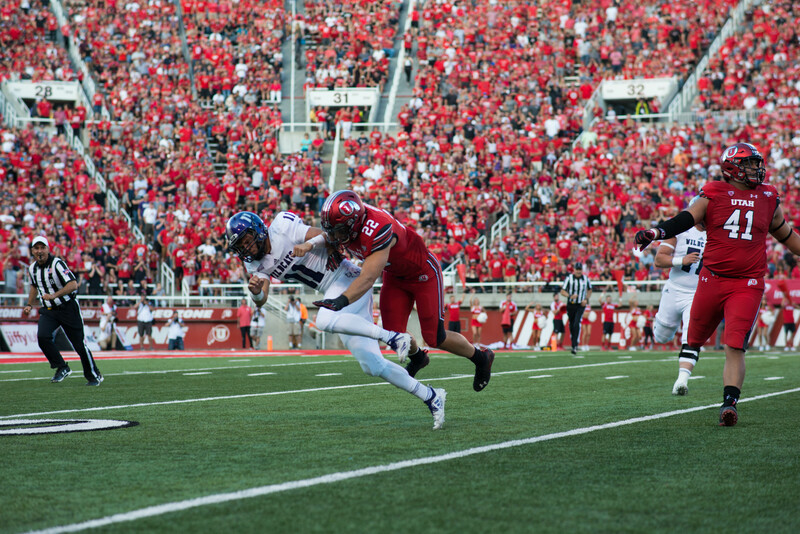 The two teams traded the lead back and forth throughout the first half. Toward the end of the half, UND started to gain control of the lead. At halftime, UND held a slight lead over the Wildcats. UND was able to hold on to its lead for much of the half, but never was able to pull away enough to have a comfortable lead. In the first half, UND shot 59 percent from the field and played strong defense to help it hold on to its narrow lead. To start the second half, UND scored quick and early, pushing its lead to 49-40 three minutes into the half. UND pushed its lead to 12 on an alley-oop dunk by Troy Huff. Joel Bolomboy sparked WSU’s offense six minutes into the second half. He had three consecutive dunks, the third being an alley-oop from Gelaun Wheelwright, which cut the UND lead to six. Bolomboy’s strong play continued on defense. With WSU chipping away at UND’s lead, he had back-to-back blocks. With just less than six minutes remaining in the game, WSU took its first lead since early in the first half. The Wildcats went up 65-64. The lead was short-lived, with UND retaking the lead on its next possession. With two minutes remaining, UND held a one-point lead. Scott Bamforth tied the game with one minute remaining with a clutch three from the corner. Bamforth’s three brought the Wildcat bench to its feet and elicited loud cheers from the team. With 19 seconds left, Kyle Tresnak gave WSU a two-point lead with a hook shot to seal the game for the Wildcats. WSU will now play the University of Montana on Saturday night at 7 p.m. in the conference final. The winner of that game will earn a place in the NCAA National Championship. The game will be televised on ESPNU.